As a kid, I made a lot of gifts. Some of them I'm sure were really awful and weren't so useful (like that melted crayon bowl). But having to make gifts instead of buy them really taught me about being generous as a child. It was a greater effort to put something of myself into a gift, and it just felt more special. 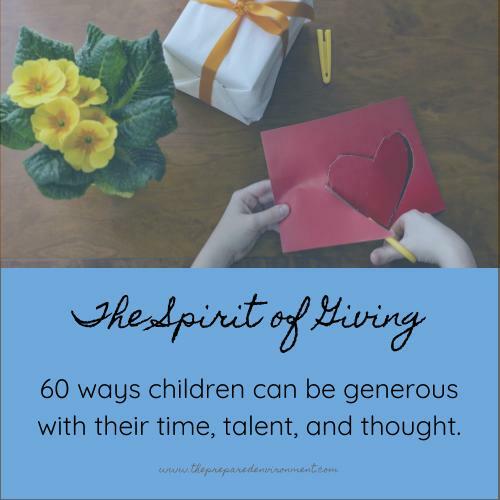 Help your child think outside the box with these 60 gift ideas. There's something for everyone here. And, if your children are inspired to give one of the gifts, share it with us! Hand written letters or cards. The letters that someone has taken the time to personally hand-write to me are some of my most treasured gifts. Especially ones from children. Short stories or books for the child who enjoys writing. Craft a story about the giftee, or have your child write about a fun time the two of them shared together (the saga of when grandma and I made a cake). You can even get a kit to make a real book, step by step. Artwork. This is great gift for any age, and can be especially nice if you ask your child to draw something about the person receiving the gift. Photo Frames and other decorated items. Sometimes these gifts can collect dust for 30+ years (looking at you, melted crayon bowl), but with a little thought you can help your child decorate an object the giftee would really use. Photo books or scrapbook. It's really easy to make a photo book these days online. Younger children can decide a few pictures to include, or you can type their memories in as quotes (Grandma go park). Older children may enjoy rearranging and designing the book with the software. Or, go old school and make a paper scrapbook. Favorite recipe book: Does your family cook together? Ask your child which recipes are their favorites, and then paste these into a book. Draw a comic for the giftee. Keep it traditional with pencil and paper, or use online software like Pixton. Baked goods, snacks: Sweets are customary, but what about bread, pretzels, jerky, sauces, or fresh salads? Cinnamon or dough ornaments: I helped my primary class make these for their parents. They are simple and easy for even toddlers. Here's a simple recipe. Herb vinegar: I made chive blossom vinegar and gave away the lovely lavender liquid. There are lots of herb vinegar recipes, and they are all pretty simple. Freezer jam or refrigerator pickles: I made these with children in Montessori summer camp, and it was a hit. An older child might enjoy hot water bath canning too. Homegrown fruits, vegetables: A healthy and welcome gift! Children of all ages can help garden. No yard? You can grow plants in recycled containers on a windowsill! Seedlings: If you have a few weeks, have your children start a few seedlings to give away. Here's how I did this with a toddler. Handmade seed paper: A lovely art project for all ages. Use any non-dyed or bleached scraps to make the paper, something that will biodegrade nicely. Here's a How-to. Handmade wrapping paper: Get a roll of plain butcher paper and encourage your children to stamp, draw, or decorate to their hearts content. Decorated gift bags are nice too! Paper flower bouquet: Is your child great with glue and folding paper? Make some paper flowers for a beautiful arrangement! Cut flower arrangements: Did you grow flowers with your veggies? Your child can cut and arrange them. Or, go pick up a few stems from the store and a small vase. Homemade cleaning supplies: I keep a jar of infused vinegar around for cleaning in my house, and it's easy to make with children. DIY beauty products like a salt scrub, hair oil, or lip balm are easy to make together. Handwork (sewing, knitting, crochet, needlepoint, embroidery, etc) is extra special when handmade by your child. Hand sewn (or glued) toy or puppet: You can make a puppet from socks, paper bags, Popsicle sticks, glove fingers, oven mitts, or fabric scraps. Use the puppets for #30. Handmade basket: Wildwoods Craft Kits has several easy DIY wood baskets, or make one from berry baskets, rope, clay, or paper mache. Handmade jewelry: Step away from the pasta and get real jewelry supplies at the craft store. There's something for every skill level. Your child can make earrings, necklaces, friendship bracelets, hair ties, barrettes, rings, and belts. Woodworking projects: Start with some pre-fab kits with younger children. Older children can design and build their own ideas start to finish, like a jewelry box or bird feeder. Activity kits: Make a complete DIY kit! Your child can create a nature walk kit, a cooking kit, a car travel kit, a survival kit... just pose the idea to your 7 year old and let her come up with an awesome kit theme. Make or gather all the items together, and write a short description of why each is included. Personalized Calendar: Children can choose photos to include for a traditional monthly wall calendar, or step it up and create a calendar from scratch. Here's a tutorial for making a daily photo calendar. Perform a play! Go all out with costumes, props, and backdrops. Even better if your children write the play about the giftee and then put it on for them! Recorded stories (audio or video) A welcome gift for a grandparent or proud uncle. Get a microphone and help your child record herself reading a story, or film it. Recorded songs (audio or video) Got a child who likes to sing? Send a recording of his best singing as a gift. Help your older child run and record interviews of family members, friends, or special people. This would make an excellent gift for a milestone birthday. Board Games Older children can design and make a board game. (here's one a 5 year old made about history) Not so crafty? Use a DIY board game kit. Treasure hunt or game: As a kid I was always dreaming up games for my family to play. I even made a treasure hunt for our wedding by noting the coordinates of hidden treasure and setting up a geocache. 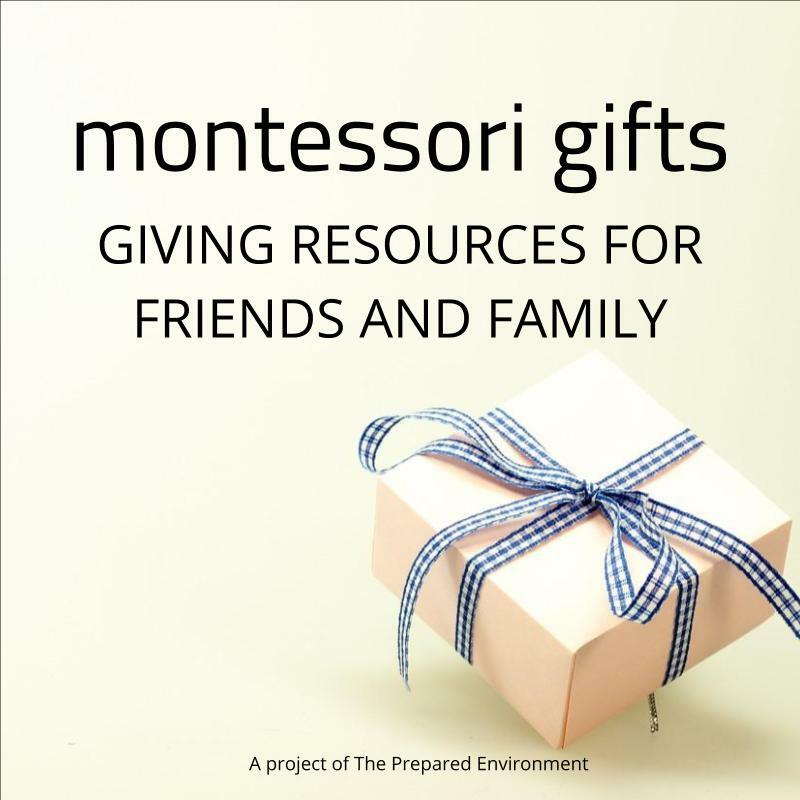 Help your child organize a game idea, gather materials, set it all up, and then invitee the giftee to play. Graphic design: Make a card, desktop background, series of quote images, or an infographic. Here's a simple program I like. Printing: Help your child make a stencils or stamp, and then personalize something special for Aunt Jane. Got a kid who likes to code? Get a raspberry pi and write music, design a light show, or make a short animation with Scratch for someone. Make a candle: Sheets of beeswax are an easy way to start, but you can also get granulated wax beads for custom scented jar candles. Choreograph a dance and perform it. Make pet treats: Many DIY dog and cat treats are simple and child-friendly. Curate a playlist, pin board, or digital photo album for the giftee. Make a hand bound journal. Journals can be made from all kinds of things. Here's a how-to with twigs and plain paper. Donate their outgrown toys, clothes, or possessions to others in need. Match their allowance dollars and cover coffee for a stranger (set that up with the barista). This also works for bus/metro faire. Volunteer to help with a local organization or event. Older children can volunteer to help around the home or in the community. Collect items for a person or child in need, and send it to Operation Christmas Child or your local homeless shelter. Here's a list of popular items to include. Spend an afternoon with grandparents or other loved ones doing a favorite activity together. Plant a tree, flowers, or a garden together. Do a random act of kindness. Here's 100 ideas. Write a thank-you note for something other than a gift. Like that time Uncle Jim watched your recital. Go visit the local animal shelter and play with the cats and dogs there. Bring some homemade treats! Teach a skill to someone else. Help your older child organize a lesson plan, gather materials, and practice demonstrating for a student audience. Sponsor a family, child or a cause. Here's an awesome list of women-powered organizations doing great work. Participate in local service projects (great for older children). Decorate a table, room, or front yard as a birthday or holiday surprise. Or for no reason at all! Older tech savy kids can set up a digital service like a podcast player, feed reader, IFTTT, Tasker, or optimize gmail for a non-tech savy giftee. Help prepare a meal for a loved one or person in need. Or, set up a meal train with a few friends or neighbors for an even bigger gift.